Yes it is, International TEFL Academy’s 170-Hour Online TEFL Course is internationally accredited and recognized, and it exceeds international standards for professional level TEFL Certification (most accredited TEFL courses run 106-120 hours) as set forth by leading bodies in the international field of TEFL and recommended by thousands of schools and employers around across the globe. In addition, our online course is officially recommended by several leading recruiters that hire English teachers for private and public schools around the world. 4. Course instructors hold at least a Master's Degree. International TEFL Academy’s 170-Hour Online TEFL Certification Course not only meets these standards, but exceeds them. With 150 hours of class training our online course exceeds the industry standard by 50%. In addition, students participating in our course have the option of taking an additional 30 hours of specialized training (at no extra cost) for teaching business professionals and young learners. With these 30 additional hours, your certification will total 200 hours of training, which exceeds most other TEFL courses by approximately 70 percent. To successfully complete an online TEFL / TESOL certification course, International TEFL Academy requires that each student complete 20 hours of practicum. These practicum hours allow each student to gain first-hand experience working with real ESL students, whether it is in an actual classroom setting, or by tutoring a non-native speaker privately. With a 20-hour practicum, International TEFL Academy’s 170-Hour Online TEFL Certification Course exceeds the base industry requirement for practice teaching by more than 100%. Read more. International TEFL Academy and its courses meet the highest international standards and are accredited and externally monitored by leading international accrediting bodies in the field of TEFL/TESOL. To ensure that our Online TEFL certification meets international standards in quality and delivery, this curriculum has been externally monitored and approved for accreditation by TQUK, an officially Awarding Organization that is recognized and regulated by Ofqual, the British Government organization responsible for monitoring and maintaining educational standards for professional certifications in the United Kingdom. All ITA-run courses, including the 170-Hour Online TEFL Course, hold a Level 5 Regulated status. Read more about accreditation for International TEFL Academy courses. International TEFL Academy’s 170-Hour Online TEFL Certification course is taught by university-level professors who must hold at least a Master's Degree (most will hold a PhD) in teaching English as a foreign language or a related field. All instructors also have extensive professional teaching and training experience. Any TEFL school that offers a class taught by someone with less than an MA (or DELTA which is professionally acceptable abroad) is not providing the quality of instruction necessary to teach at a university level TEFL class and the course will not be accredited. Meet International TEFL Academy Professors here. 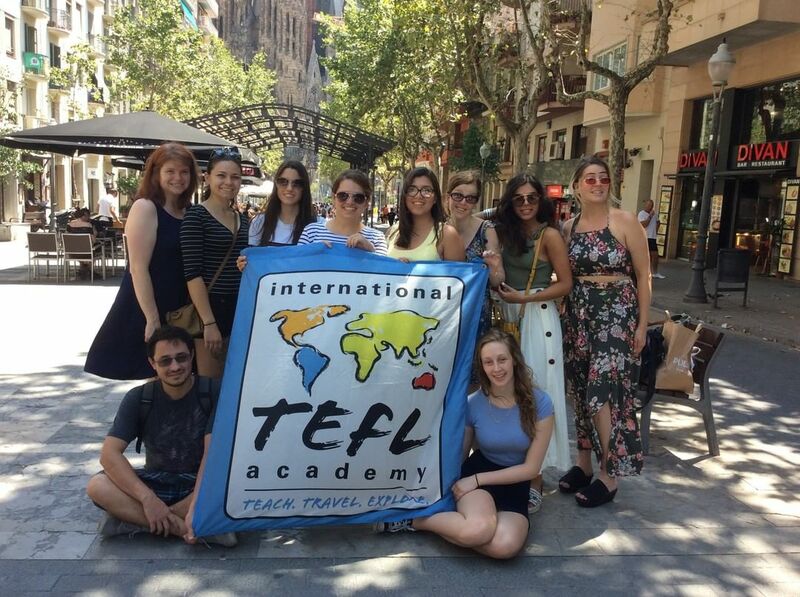 International TEFL Academy (ITA) staff, students and alumni are proud that ITA has received multiple recognitions as one of the best TEFL schools in the world for offering TEFL certification for teaching English abroad & teaching English online. Since the beginning of 2019, ITA has been named the #1 TEFL school by GoAbroad.com and GoOverseas.com across a range of awards categories for TEFL certification, including #1 Best Online TEFL Course and #1 Best In-person TEFL Class (ITA Chicago TEFL Class) by GoAbroad.com. ITA's Online TEFL Class also received recognition as the top-ranked Online TEFL class in several categories of the GoOverseas.com Community Choice Awards for TEFL Certification as well. Read more about ITA's recent awards & recognition here. 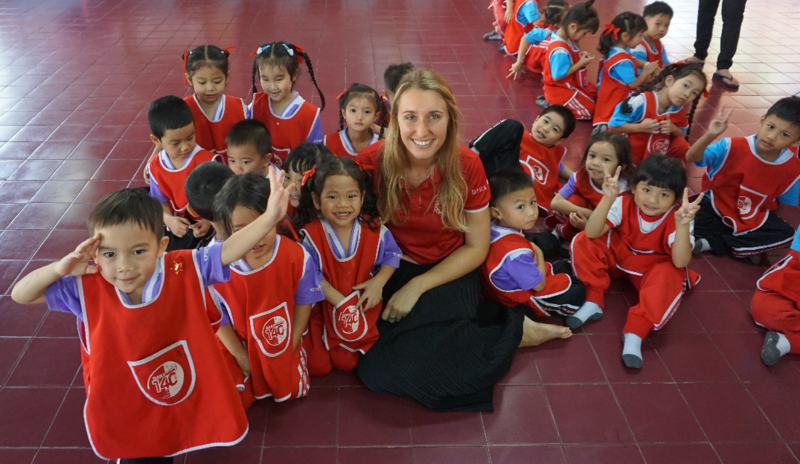 Ultimately one takes a TEFL certification course to gain the skills necessary to become a successful teacher and to attain a qualification necessary to gain employment as an English teacher abroad. International TEFL Academy certifies more than 5,000 students each year and approximately 80% of our students take this online TEFL course. Students who have taken this course have taught in virtually every major job market for English teachers in the world, including those nations in Europe, the Middle East, Asia and Latin America where standards for TEFL Certification are the highest. From private language institutes and public schools to summer camps, private academies and universities, graduates of this course now teach English abroad in all sorts of venues and educational institutions. Students who take this course range from college graduates with no prior teaching experience and those with no degree at all to Peace Corps volunteers, certified teachers in the U.S and abroad, corporate trainers, military personnel and even university professors. For hundreds of reviews, International TEFL Academy reviews on GoAbroad.com & ITA reviews on GoOverseas.com. For firsthand alumni interviews and articles, check out ITA Alumni Stories and watch alumni videos in our Video Library. NOTE: Many online TEFL Certification courses are not accredited and do not meet these standards. While any decent training can be valuable and is not to be discouraged, taking a lesser TEFL certification course to save time or money will only limit your job opportunities in the end. To learn more about what to look for while choosing your TEFL class, please read 7 Critical Mistakes to Avoid While Choosing Your TEFL Class. NOTE: This article was originally published in June, 2012. It has been updated and refreshed for accuracy & freshness on March 27, 2019.